The once-abandoned downtown Memphis district is booming, with $100 million in current projects and more on the way. 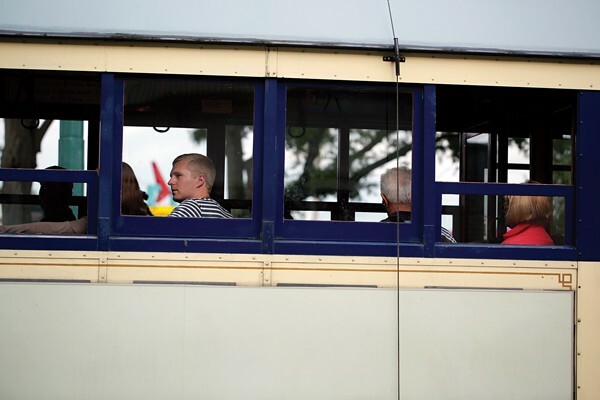 Hop a trolley along South Main Street and you'll take a trip into the past and the future. 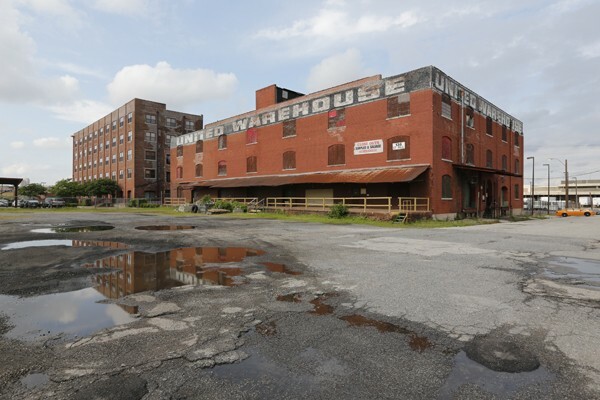 Hidden behind chain-link fencing and the fronts of antique buildings, money and energy are being pumped into the South Main district like nowhere else in Memphis. Construction is underway up, down, and around South Main, in projects large and small. On the north end of the district, near Beale Street, a dirt patch is the promised home of The Orpheum's Centre for Performing Arts. Down at the south end, the South Junction apartment complex is nearing completion. In between, projects valued at nearly $100 million are underway or recently completed. Most of the projects are being built using the area's large stock of existing buildings, many abandoned a generation ago. They're being lovingly refurbished and repurposed by companies and developers who know South Main's authenticity is the core of its charm. "You know, we're recycling an entire abandoned neighborhood," says Henry Turley, founder and CEO of Henry Turley Company. "(South Main) was industrial. Then it was nothing. 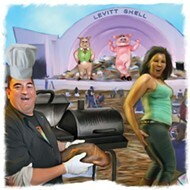 So, it's the ultimate in recycling, when you take the whole neighborhood and bring it back to vibrancy." Era I — The district used to be in a separate city, a Memphis suburb called South Memphis. Rich folks lived there in single-family homes and mansions in the early 1800s, Morris says. The city merged with Memphis in 1850, and the area remained largely residential. Era II — The trains came in the early 1900s. Union Station opened in 1912 and Central Station opened in 1914. They brought as many as 50 passenger trains a day, Morris says, with hundreds of passengers. The single-family homes and mansions were torn down and replaced by factories, warehouses, hotels, and storefronts. These are the buildings that have remained and are the bones for the new construction underway. Era III — Rail traffic died. With few passengers and no commerce, South Main businesses dried up. By the 1950s and 1960s, the district was in decline. The assassination of Dr. Martin Luther King Jr. in the district's Lorraine Motel in 1968 formalized its demise. "The neighborhood was so totally and completely abandoned that nobody even cared enough to knock the buildings down and redevelop," Morris says. "They just left them there and abandoned them. That's good news, though, because this neighborhood today thrives on the fact that we've got a lot of the same buildings and the architecture that existed in the early 1900s." 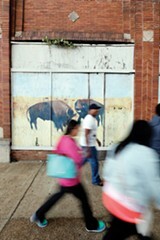 Era IV — Artists discovered those abandoned buildings in the early 1980s and South Main's fourth era began, Morris says. 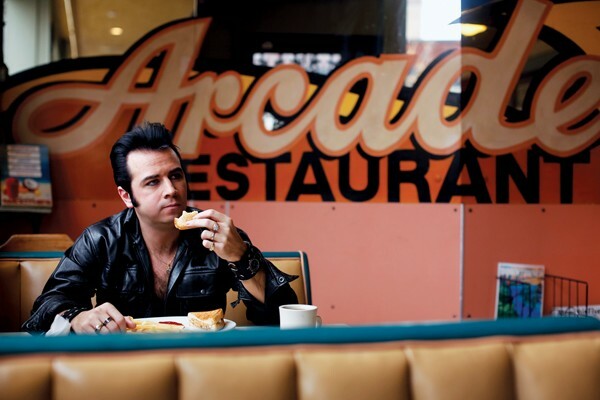 Then Hollywood found the district in the 1990s and all the old buildings became a stopped-in-time backdrop for everything from Walk the Line to Hustle and Flow. "All you have to do is change out the automobiles," Morris says. 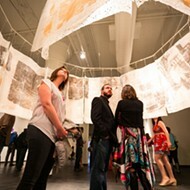 The artists and their galleries brought a new momentum, a new reason to visit the area, and South Main was dubbed an "arts district." That momentum spread. 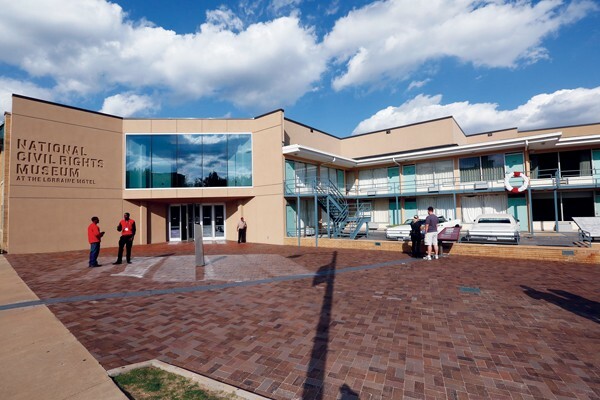 The National Civil Rights Museum opened at the Lorraine Motel in 1991. 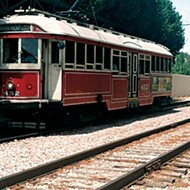 The trolley line opened in 1993. Central Station was redeveloped into apartments in 1999. Today, 2,500 people live in the South Main area. The average age of residents is over 45. Property values have grown from $270 million in 2005 to $460 million. South Main is home to everything from Emerge Memphis, a technology incubator, to The Blues Foundation. "South Main is not just one thing," says Kimberly Taylor, owner of K'PreSha, a South Main clothing boutique. "It's a collective of things. It's boutiques. It's restaurants and art galleries. It's bars, The Orpheum, and the Civil Rights Museum. It's the compilation of all these things that just make for a great neighborhood." 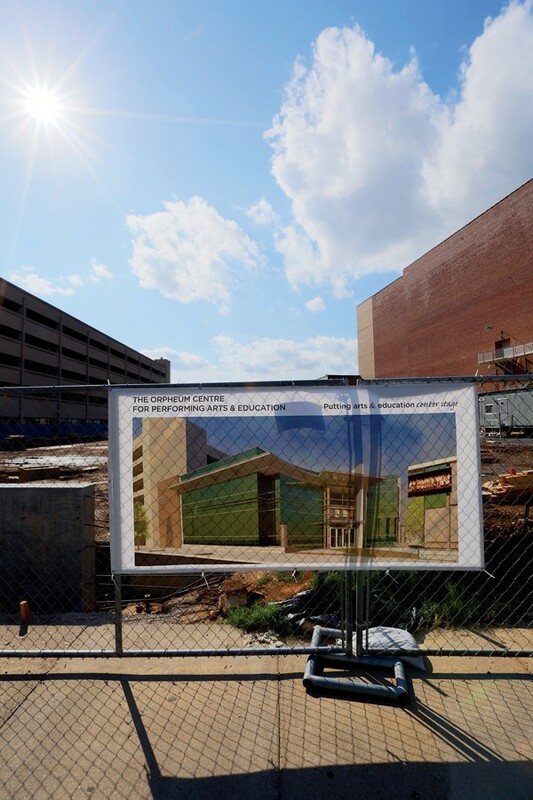 When it's completed next year, the two-story building will undoubtedly be the most modern-looking structure in the district. The Centre's design sports a ground-to-roof glass facade and curves and angles in equal measure. The building will be the new home for The Orpheum's 19 education programs that cover students from pre-school to college. It will have classrooms and a rehearsal stage the same size as The Orpheum's, so productions can be easily moved from one to the other. The program served 66,000 students last year, and Pat Halloran, The Orpheum's president and CEO, said the space is necessary. "You've heard the adage 'Build it, they will come.' This is the reverse of that," Halloran says. "We have the audience. We don't have the building. But we're creating it." Crews are hard at work inside the long-vacant Chisca Hotel. Behind the chain-link fence outside, workers are cleaning up the enormous space inside. It's being prepared for construction crews to begin a massive renovation project that will transform what became a behemoth eyesore into a modern apartment building with retail space on the ground floor. Project officials say the new Chisca will bring new residents to South Main and will also help connect the district to the Downtown core. But for many, the new Chisca will finally be a proper place to honor the history that happened there. Dewey Phillips broadcast his "Red, Hot, and Blue" radio show from the Chisca, and in 1954 he played Elvis Presley's "That's All Right Mama." It was the first time Presley's music was broadcast and, some say, the first time rock-and-roll was played on the radio. "I heard one tourist remark, 'If we had this in our town, we'd never let it look like this,'" Morris says. "This would be the center of our town. It would be the main thing." This project will connect pedestrians and bicyclists from Main Street Memphis to Broadway Avenue in West Memphis, Arkansas, which is that city's "Main Street." The project has brought construction crews to Main Street, North and South. They are tearing up and replacing old sidewalks, curbs, and gutters. The plan is to leave behind a more inviting walking and biking space for tourists, locals, runners, and bikers. Crews will then turn the old roadbed of the Harahan Bridge into a wide, open path for pedestrians and bikers to cross the Mississippi River. "When that bridge opens up, that's when the floodgates will open," says Daniel Duckworth, owner of South Main's Midtown Bike Company. "That's why I'm here." Duckworth moved his bike shop from Overton Square to South Main six years ago. The talk back then was to somehow open up the Harahan Bridge to bikers, and Duckworth wanted to be there when it did. "I just didn't know it was going to take this long," he says. 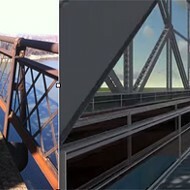 Once the bridge is open, Duckworth says he'll see new revenues from renting bikes to people wanting to ride the route. His shop already attracts many touring cyclists, but the Main to Main project will literally put him on the map of a growing number of bike routes in Arkansas and Mississippi. The project is estimated to be completed by October 2015. Chains were broken and doves were released in April to mark the opening of the newly updated National Civil Rights Museum. The museum now contains new, tech-fueled exhibits that can transport visitors to the cramped quarters of a slave ship or put them in the courtroom during the Supreme Court's landmark Brown v. Board of Education decision. They can sing along with protestors and listen to the poetry and music from the Black Pride/Black Power era of the 1960s-1970s. The museum also retained its iconic exhibits: the Montgomery Bus, the sit-in counter, the Freedom Rides bus, and the Memphis Sanitation Truck. The museum attracts about 200,000 visitors to South Main each year and the renovations are expected to bring even more. New development is on the way for Central Station, according to Turley. 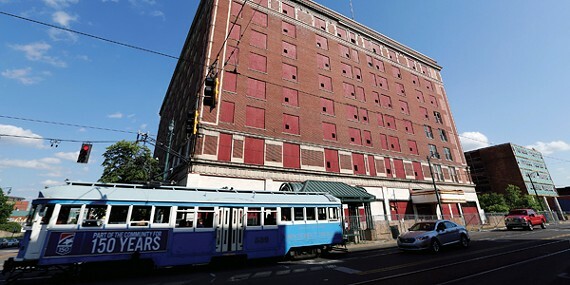 His company and Community Capital were hired by the Memphis Area Transit Authority (MATA) to begin the next stage of development for the apartment and office complex. Turley says he's not sure yet what that will look like. "When people ask me what we're trying to do, I say we're trying to make Central Station central once again," Turley says. "It should be a dynamic anchor for the South Main neighborhood, and it's just not behaving that way now, and we'd like to improve it." Plans for the station won't be firmed up until at least the end of the year, Turley says. South Main Artspace Lofts have moved into the former United Warehouse at 138 St. Paul. Turley's 300-unit South Junction is, indeed, the largest single residential development around South Main. But it's far from the only one. ArtSpace Lofts will have 44 live/work spaces. 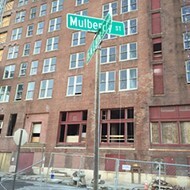 The Cabinet Shop Apartments will have 25. 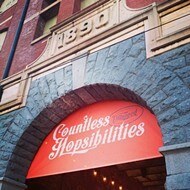 Printer's Alley Annex will have 22. In all, the new developments are expected to bring 1,000 new residents to South Main. This fact gives hope to K'PreSha owner Taylor, who says retail in South Main struggles during daytime hours, unless there's a special event. "I think if everyone down here can sustain themselves over the next two years, then I think South Main will definitely be where it's at," Taylor says. "I think the increase in residents will help us get more local traffic. All the development in general will just bring more people." Construction work is underway on a number of smaller projects up and down South Main Street. Cafe Pontotoc is planned for the space formerly occupied by Carrot. A new bar concept is coming to the former Cafe Soul space at 492 S. Main. The Book Juggler bookstore opened late last year at 548 S. Main. An updated Five Spot and another new restaurant are coming soon to the space behind Earnestine & Hazel's, according to building owner and Memphis restaurateur, Bud Chittom. No changes are planned for Earnestine & Hazel's, Chittom says. He's also planning to build a youth hostel in the two-story building behind the new restaurants. Two new retail clothing concepts are coming from the team that brought the Crazy Beautiful pop-up shop to 387 South Main over the holidays. Eryka Smith and Chad West will open a new store, Stock and Bell, in the old pop-up shop space. They're also renovating the former Russian Cultural Center space at 509 S. Main for a rockabilly-inspired vintage shop called Red Velvet. 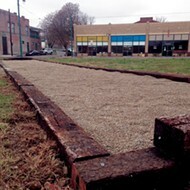 Perhaps the smallest development in South Main is the new bocce ball court in the once-vacant lot at Main and Talbot. The Downtown Memphis Commission built the court for around $1,000, and officials hope it will help draw future development to the space. People can play for free. Balls are available at South Of Beale and The Green Beetle in exchange for a credit card or driver's license. A new park and dog park are being discussed for an undisclosed location in South Main. Also, locals are working with property owners to convert the empty space behind the iconic "Buffalo Mural" into a performing arts area. Finally, the district got an identity upgrade this year with a new logo, a new visitor's guide, and new banners touting the area's "legendary" status. Some of those legends can be heard on a new self-guided walking tour. Visitors can use their smart phones to scan QR codes on some buildings that will give them web-hosted tales of Machine Gun Kelly or the Whistle Brand soft drink company. Chittom says South Main is still riding the wave of energy created by the folks who got there early on, especially Henry Turley, he says. "The synergy in South Main is just remarkable right now," Chittom says. "It was predicated on Henry. He did this. A lot of people played a role but not as big as Henry played." Turley began developing property in South Main after the initial wave of artists and others put down roots there. He started the South Bluffs development in 1991 after he'd finished the River Bluffs development. Turley credits those who came before him. "They added more energy than I did," he says. "I added more bulk, but they really got it going." South Main Association President Brian Douglas said the original galleries attracted foot traffic, which attracted bars and restaurants. This made the area viable for other businesses that moved in: public relations firms, architecture firms, and financial advisory firms, like his branch of Ameriprise Financial. "It hasn't been an increase in a single area," Williams says. "It's kind of been a mix of all of the infrastructure things you need to make a neighborhood great, from restaurants and bars and work, and now we're adding housing again." Most agree the growth of South Main has been gradual, organic, unforced, the result of a large, loose network of residents, business owners, developers, and city officials, unlike Overton Square or the Pinch District, which have grown or will grow with the help of a single major developer. South Main's supporters say much of the area's success is due to an intangible factor — its authenticity. 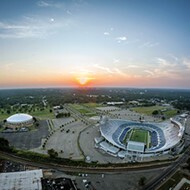 Sharon Stanley, an associate professor of political science at the University of Memphis, moved to South Main six years ago, after living briefly in the Downtown core. Yes, rent was cheaper in South Main, but she says what kept her there was something deeper. Downtown felt like a "show piece with a little artificial Memphis [in it] for tourists or something." South Main was different, she says. 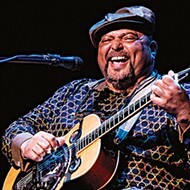 "It also just has — and this is probably the most overused word for anyone describing what they like about a city or a neighborhood — but I do feel like the places here have a certain character that other places are lacking, especially in the newer developments in Memphis," Stanley says. "I feel like those could be anywhere. But Earnestine & Hazel's can only really be Earnestine & Hazel's." A new study by the National Trust for Historic Preservation (NTHP) spells this out. City dwellers these days, especially younger residents, like old buildings. They want to live in them, walk around them, and socialize in them. Blocks of old buildings, the study showed, provide affordable spaces for entrepreneurs to open new restaurants, bars, and businesses. They are all looking for authenticity and are finding it in Washington, D.C.'s H Street Corridor, San Francisco's Hayes Valley neighborhood — and South Main in Memphis. These areas perform better economically, socially, and environmentally than those with larger, newer buildings. "That's really one of the things that made South Main successful," Paul Morris says. "It avoided what happened in many downtowns across America where people came in and wiped all the buildings away and started afresh to get rid of the urban blight." Memphis and South Main are well ahead of the curve of one urban trend: Cities across the country are spending hundreds of millions of dollars to begin streetcar projects. Tucson has spent $196 million on its 3.9-mile Sun Link Streetcar project that will link its downtown and the University of Arizona. Washington, D.C., will open its $135 million, 2.4-mile H Street streetcar project this year. A 2.4-mile streetcar route will open in Seattle later this year, a project that cost $134 million. Atlanta, Dallas, Milwaukee, and many other cities have similar projects either planned or under way. 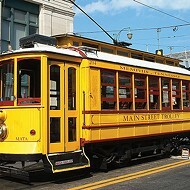 Memphis trolley cars have been rumbling up and down 10 miles of tracks since 1993. Enjoy It Some worry that the Memphis population won't be able to support all of the urban renewal blossoming across town. But Morris' advice on South Main is to simply enjoy it. "It's in your city," he says. 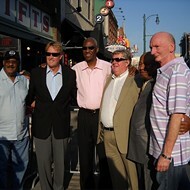 "It's a big part of Memphis' history and it's going to be a big part of Memphis' future."